Hayward Gordon screw pumps provide industry-leading solutions for moving large quantities of heavy material over great distances. Screw pumps are renowned for their reliability because of the rigid construction of the screw mechanism. 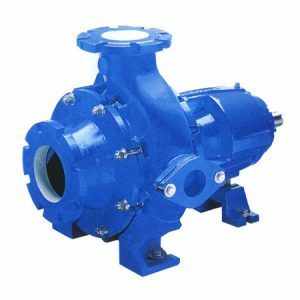 Hayward Gordon pumps utilize powerful motors that operate the screw mechanism to move heavy material quickly and efficiently. When those pumps and/or motors need installation or maintenance, Arroyo Processing Equipment’s global network of authorized distributors provides 24-hour service support to reduce any possible downtime. While screw pumps manufactured by Hayward Gordon are ideal solutions for moving heavy material, these pumps also work well with low-viscosity fluids. They are often driven by highly efficient electric motors that operate well in virtually any space without producing noxious exhaust fumes. The internal screw centrifugal pumps are well known for their ability to work around the clock with minimal maintenance. Screw pumps are truly versatile pumps that can be used in a number of applications such as fuel-injection, supplying lube oil to machinery, multi-phase pumping, and moving high viscosity crude oil. Arroyo Processing Equipment is the leading supplier of Hayward Gordon screw pumps and other fluid processing equipment. With locations in Bartow, Miami, and Jacksonville Florida as well as the Dominican Republic, our team of experts is available to assist fluid processing professionals in Florida, Georgia, Alabama, South Carolina, North Carolina and beyond. Contact us today for more information about how Arroyo Process Equipment can help you!